Urolithiasis is a serious condition that often sick cats of all breeds. It is expressed in the violation of metabolism in the animal body and is accompanied by inflammation of the urogenital system, formation of stones in kidney and urethra. In the absence of proper treatment can lead to death. 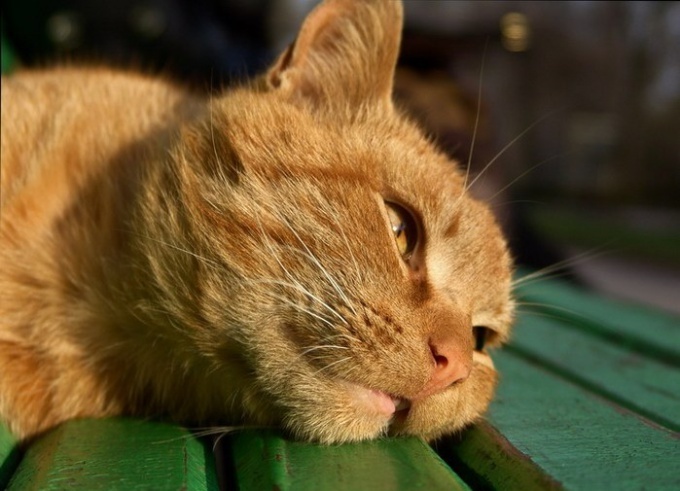 Urolithiasis in cats occurs as a result of malnutrition, inflammatory processes in kidneys and urinary tract, hormonal imbalance in the body, the anatomical features of the urethral canal or pathology of the digestive tract. The disease may also be the result of a sedentary lifestyle or carry a hereditary character. As soon as the cat begins to behave restlessly, suffer from lack of appetite and frequently go to the toilet, feeling pain, you should immediately contact a veterinarian. If this is not done, the disease begins to progress, the urine will be blood, cramps, vomiting and the cat can die from dehydration. Independent choice of treatment of kidney stones can lead to negative consequences, as only a doctor can correctly prescribe drugs based on what kind of stones are present in the animal body – struvite or oxalates. And it can be done only after analyses of blood and urine. The treatment of this disease individually and aimed at relief of pain, renal colic and removal of the inflammatory process. Usually prescribe antispasmodics and antibiotics (Gentamycin", "Dispersal" and others). If you are not urinating, doing catheterization. Also used homeopathic remedies, for example, "APIs", "Magnesium", "Kantaris" and others. It is useful to give the cat decoctions of such herbs and plants as plantain, cranberries (leaves), bearberry. In the treatment of urolithiasis great importance is given to diet which is the consumption of feed of plant origin (cereals) and dairy products. Often veterinarians recommend excluded from the diet of the animal dry food, meat and fish. Urolithiasis, transferred to the acute form often becomes chronic. Therefore, to exclude its re-appearance, should be the prevention of disease. It includes correct selection of the feed is necessarily enriched with vitamins, active lifestyle, the consumption of large amounts of water and weight loss cat.